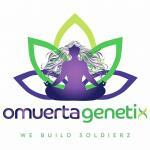 Here you can find all information about the cannabis breeder Omuerta Genetix. We've collected data about 9 Cannabis Strains breed by Omuerta Genetix. 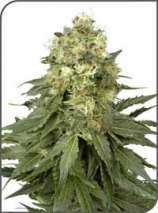 Click on the strains to find more informations, pictures, reviews, comparisons and sources for a variety - and/or check out the Breeder Info here at the page to find out more about Omuerta Genetix. Its also possible to visualize all Omuerta Genetix strains together with all their Parents or Hybrids with our dynamic maps - check it out! Click here to visualize all Omuerta Genetix strains including all known hybrids and descendants with our dynamic map! Here you can watch all Omuerta Genetix strains and their ancestors (sorted by origin) with our dynamic strain map! 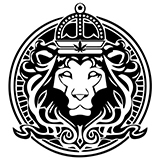 Canadian Boutique Breeder specializing in Probiotically bred Regular photoperiod Cannabis seeds for high THC. Designer strains of traced lineage Cannabis bred for performance and long term husbandry. All strains are pretested by realworld growers in realworld conditions under a variety of different scenarios before being chosen to release or rework. , Many strains available in F3 and IBL status as Omuerta follows eugenics in cannabis preservation as well as creation.